Today, as part of the #OpenDefra campaign; the Joint Nature Conservation Committee (JNCC) published the second batch of marine data under an Open Government Licence on data.gov.uk. The number of datasets now released by JNCC has topped 1000, meeting our pledge towards the Secretary of State’s 8000 dataset promise by June 2016. But we aren’t finished yet! There is more data in our holdings to share and we plan to continue to share openly as much data as we can. Please take a look – we’d love to know how you will you use these data, or to answer any of your questions. The visual aerial surveys data is the largest and possibly most comprehensive analysed dataset on visual aerial surveys for seabirds. The data covers more than 20 inshore areas around the UK collected over 10 years (2000-2010) by JNCC (on behalf of the Statutory Nature Conservation Bodies). The Seabirds at Sea data comprises survey data of seabirds and cetaceans collected using standardised transect methods from boats and aircraft over more than 30 years. The density surface maps were modelled from the Seabirds at Sea data in order to identify regular areas of relative high densities of seabirds as well as linking sites to key stages in the seabirds annual cycle. These data have been recently used to support efforts by the UK governments to identify possible sites for marine Special Protection Areas (SPAs) for aggregations of the 19 inshore waterbird species (seaduck, divers and grebes plus little gull, European shag and great cormorant) that spend the winter period within coastal areas of the UK. The identification and classification of the most suitable territories as SPAs for the conservation of rare and vulnerable species is a requirement of the European Council Directive 79/409/EEC on the conservation of wild birds (commonly known as the Birds Directive). Today was the first in a series of releases of our offshore survey data, the results of years of collaborative effort with partner organisations to survey the seabed in offshore waters (beyond 12 nautical miles). These surveys were designed to collect detailed information about species and habitats found in some of the UK’s most remote environments, primarily to support the selection of Marine Protected Areas in our seas. The data released today span from 2007 to 2013 and have been used in the designation of SACs and MCZs. The release includes a range of data types which act as jigsaw pieces in understanding the seabed. For example, in video and still images you can see the colourful world under the waves; sonar maps show the texture and shape of the seabed; and samples grabbed from the seabed have been analysed by geologists and biologists. All this information has been brought together into maps and reports describing our findings which are also part of the release. The inshore data released today are the second part of the collection known as the ‘Marine Nature Conservation Review’. 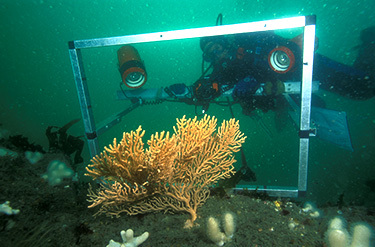 This extensive review of the marine habitats and species around the United Kingdom was undertaken between 1990 and 1998. The review was intended to provide a comprehensive baseline on marine habitats and species around the UK, support coastal zone and sea-use management and contribute to the identification of areas of marine natural heritage importance. The data from each survey includes the measurement of a large number of physical characteristics of each area, the species that were found there including their abundance and the overall community types. The data underpin our knowledge of marine life found on the beaches and shallow seas around the United Kingdom and have contributed to the selection of many of the near-shore protected areas. Together these data provide a valuable record of the species and habitats found in the marine environment. Although some of these data were already accessible, we are now making them all openly available under the Open Government Licence. This will enable wider use and further analyses of the data. We hope this will broaden our collective understanding of the incredible diversity of life in our seas.